Xi Jinping said that he is ready, together with Russian President Vladimir Putin, to give fresh impetus to bilateral relations between their countries. 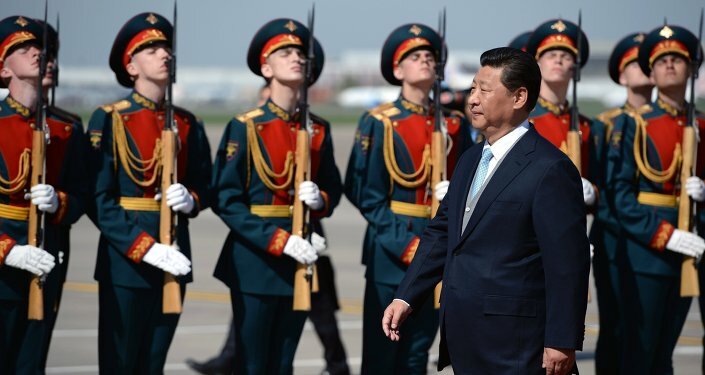 VLADIVOSTOK (Sputnik) – The Chinese president is ready, together with Russian President Vladimir Putin, to give fresh impetus to bilateral relations between their countries, Xi Jinping said in the documentary "Russia and China: The Heart of Eurasia." "I am ready to continue, together with President Putin, remembering about the present and looking into the future, to constantly give new stimulus to the development of Russia-China relations," Jinping said. The Chinese leader said that Moscow and Beijing had agreed on many points pertaining to the deepening of their bilateral ties and expanding cooperation. He said the development of neighborly ties, friendship and cooperation between Russia and China was very important, not only for the two countries but also for the world in general. "Over the course of about 20 years our countries have established relations based on a comprehensive strategic partnership and cooperation, characterized by equality, trust, mutual support, prosperity and friendship from generation to generation," Jinping said. "Russia and China: The Heart of Eurasia" will air on the Rossiya 1 television channel on Friday at 9 p.m. Moscow time [18:00 GMT].The film tracks the course of how Russia-China relations evolved since the 17th century, shifting from complete isolation to friendship. Both countries paid great tolls for the victory in World War II and have very close ties nowadays.